I’m not completely sure what to think of this book and can’t help but feel I’m missing some point somewhere along the line. The story, based in London and Paris, starts off well enough and then peters out towards the last third of the book. Maybe it has some deeper meaning that I’m just too dense to uncover. I don’t know, perhaps I should have made notes and thought a bit deeper about it. Murdoch practised philosophy before turning to novels and this is reflected strongly in the book. Some early reviewers refer to it as an existentialist work. Anyway, I enjoyed most of the novel. 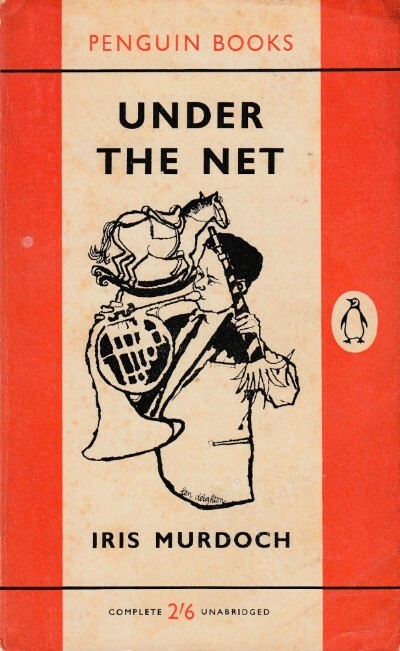 There are some very amusing scenes in the first half, involving betting on horses and a manic pub crawl around Holborn and St.Pauls that ends up in a midnight swim in the Thames. The leading character, and narrator, James Donaghue, is largely likeable as is his sidekick Finn. The women featured in the book are somewhat wooden and one dimensional. Oh yes, a dog plays an important role in the story which is always a good thing. I’m pleased with the cover I bought, the illustration gives a feel for the, at times, fast moving and chaotic nature of the novel. “The cover should bring a subtle and intimate promise of what the writer has contrived: not a display of pyrotechnics”. I wonder if Len and Iris met, maybe they sat down for a pint in one of the many pubs mentioned in the book? It would be nice to think so. An enjoyable book, a little stiff in places but as a first novel, very good. This is the January post for my Year of Iris project.